Bali Traditional Tour They perform Kecak dance Everyday. 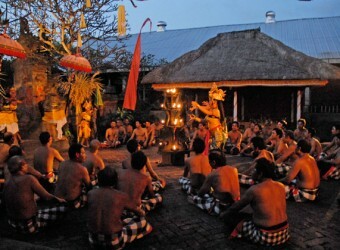 Kecak dance is one of the popular and dynamic traditional dance in Bali. It is unusual because it has no musical accompaniment like many other Indonesian dances do. The rhythm of the dance is produced by the chanting 'monkey' chorus.